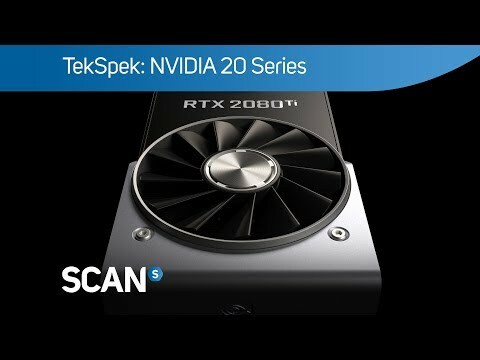 INNO3D GEFORCE RTX 2080 Ti X2 OC GPU The INNO3D GeForce RTX 2080 Ti X2 OC delivers the ultimate PC gaming experience. Powered by the NVIDIA Turing GPU architecture and the revolutionary RTX platform, RTX graphics cards bring together real-time ray tracing, artificial intelligence, and programmable shading. This is a completely new way to experience games. NVIDIA’s newest flagship graphics card is a revolution in gaming realism and performance. The powerful 11GB of next-gen, ultra-fast GDDR6 memory make it the world’s ultimate gaming GPU. The INNO3D features a renowned cooling, RGB Lighting effects and an excellent software to control it all. Ultra Silent Fan The INNO3D X2 Cooling system is made of many premium parts such as 2 x 92mm silence scythe fans, Jumbo Vapour Chamber, AI Full-Stop-Mode technology and a unique bearing made in Japan. this offers the most efficient heat transfer and the best gaming performance at ultra low noise levels. Experience extremely low noise, ultimate gaming performance and perfectly optimised cooling. You can control clock speeds, voltage, fan performance and lighting effects using the INNO3D engine software. Simply tune the card to achieve your requirements and achieve the power for ultimate gaming.